Disney’s Epcot theme park in Florida includes exhibits of countries from around the world, staffed by student ambassadors from those countries. But before the theme park even opened in 1982, the FBI was concerned that EPCOT (an acronym of Experimental Prototype Community Of Tomorrow) might become overrun with Communist spies from China, Poland, and the Soviet Union. Documents obtained by Jason Smathers and Muckrock show that as early as 1979, the FBI was keeping tabs on the grand experiment taking place outside Orlando. When EPCOT finally opened in October of 1982 it was supposed to be a “permanent World’s Fair”. But there was controversy from the beginning over whether it would include a Soviet Union exhibit. Ultimately, it opened with a China pavilion, but no Soviet or Polish representation. The FBI documents are heavily redacted, but this portion describes an FBI message sent in 1979 about concern over the potential of a Soviet exhibit at EPCOT. One of the FBI’s concerns was over the way that these student ambassadors would be housed. The plan was for all of the international students to live in a large complex together, intermingling. 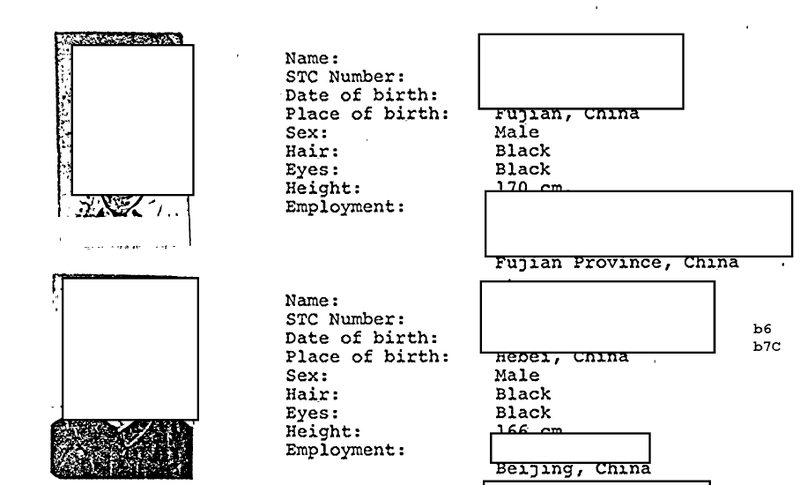 In a document from April 21, 1982 (six months before opening day) the FBI notes that the PRC (People’s Republic of China) might one day buy a housing unit of their own to segregate them from the rest of the student ambassadors. The Soviet Union initially showed an interest in having a presence at EPCOT, but pulled out when they were told that they wouldn’t be able to make “political statements” at the park. The term “political statements” is never defined. By mid-1982 there’s cooperation between people working on the EPCOT case and FBI agents in Knoxville, Tennessee, as agents there were also monitoring potential communist activities of the 1982 World’s Fair. Despite the fact that countries like Yugoslavia and Czechoslovakia wouldn’t have permanent homes at EPCOT, they would have entertainment groups at the park, so the FBI made sure to keep tabs on them as well. Initially, the majority of the ambassadors at EPCOT’s Chinese pavilion were thought by the FBI to be coming from overseas. But ultimately, those coming directly from China were largely there to set up concessions and merchandising opportunities and a larger proportion of the ambassadors were drawn from Chinese nationals already studying in the United States. The entire file is pretty heavily redacted but you can read more about the FBI’s interest in EPCOT and see the full files over at Muckrock.